This past weekend I was honored to be invited to a girlfriend's baby shower. I've known my friend Chrstine since the first grade! Growing up we giggled over boys, cried over broken hearts, and were typical teens hanging out together at the mall. We even carpooled during middle school asking her grandpa to park a block away from the school to save us from embarrassment. Oh pre-teen days! We have so many memories and continue to make more. It's so fun to see our own kids who are elementary school age now! Life definitely does come full-circle! She has two little boys and is now expecting baby girl Casey, yay! 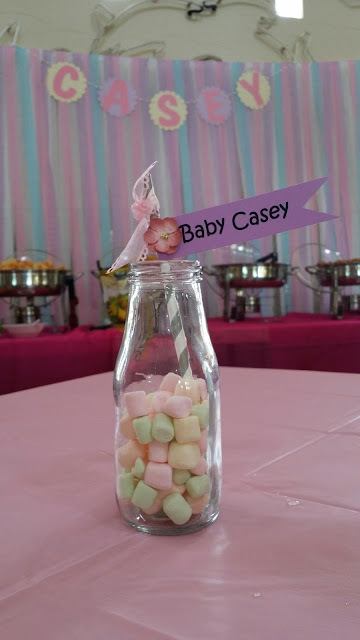 At the baby shower, I was wowed by this beautiful pink ombré baby shower cake and dainty desserts made by http://www.cakedreamsandcookiewishes.com/. I shared a while back a Peanuts themed cake made by the same lady. She does such a great job! Enjoy the eye candy and give her a call for your cake and desserts! Just like you, my social media feeds are filled with people doing the ALS Ice Bucket Challenge. Celebrities, friends, and family have all taken on the challenge. Participants are encouraged todonate to the ALS Association and/or take the ice bucket challenge. I knew sooner or later someone would call me out! Today it happened! Thanks to the Godmother of my son and long-time friend, Michelle, I've accepted the #ALSIceBucketChallenge! 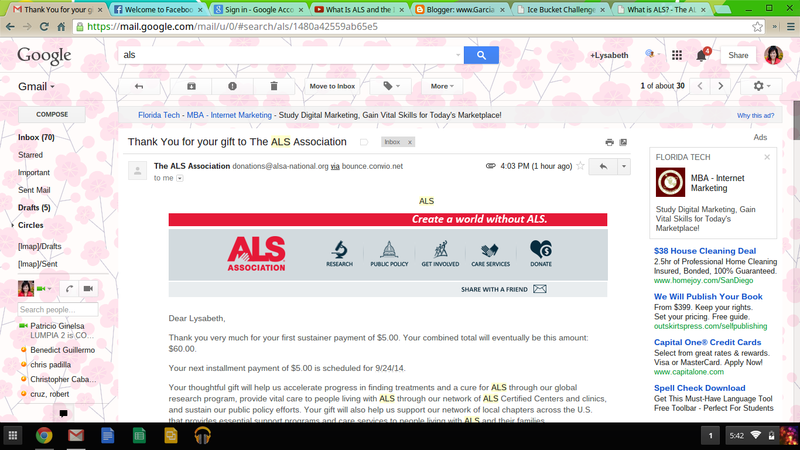 I jumped on the ALS Association website and made my donation. It's not much but every little bit counts! So, here is my video calling out my cousins Tara, Carol, and Sheena to donate to ALS or take the ice bucket challenge! It was about an hour before my organ lesson. I really didn't want to practice the organ that day. I was whining inside my head, making up a million excuses why not do participate in the lesson that day. my 7 year-old self decided I was going to play sick. I went to my room, and pretended I was asleep. A few minutes before my lesson, my mom was calling out for me and I didn't respond. She found me in my bed "asleep". "Are you ok?" she asked. I responded with a moan and "I don't feel good". She felt my head, stroked my hair, then left my room. A few minutes later, the door bell rang and I heard my mom and organ teacher talking about canceling the lesson because I wasn't feeling well. They both came into my room, talking over me in my bed. I remember peeking a look and seeing the heads of my mom and teacher looking at me. A few more words were exchanged and they left my room. Come enjoy the last few days of the summer at Suzie’s Farm 4th annual Pedal, Pick, & Grin event! It is going to be a fun, family-oriented farm experience focused on getting your hands dirty picking your favorite summer veggies, pedaling around the farm, and grinning from ear to ear! Get out in the fields to pick your own summer veggies- namely peppers and tomatoes, straight from the earth. If that’s not your thing, visit our “Pick Yer Own” Zone for freshly harvested veggies that are pre-picked for your convenience. Choose our 10 lb box ($20) or our 2 lb cone ($5) and fill it with your choice of our delicious certified-organic Summer Veggies. • Blender Bike: Turn your freshly picked summer veggies into salsa on the Whole Foods Blender Bike! • Fermentation Station: Make a jar of pickles or dilly beans! • Face Painting: For the kiddos or anyone young at heart! This year I had passes for Thursday, Friday, and Sunday. Since I didn't get a Saturday pass, I took that opportunity to roam outside the convention center and even attend an exclusive party. More on that later! On Wednesday, my posse and I went ahead and picked up our sdcc badges at the Town and Country Hotel. This saved time instead of having to pick up badges at the convention center Thursday morning. As we headed to the hotel, we noticed the first swag of the event, which was the ever popular Warner Brothers oversized bag. There were 13 different versions ranging from TVs Vampire Diaries to the new Mike Tyson's animated series and I ended up with a Teen Titans bag. Included with the bag were the souvenir book and events guide.